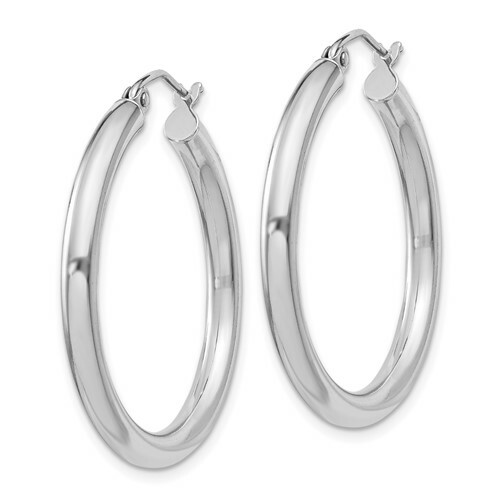 Hoop earrings are made of polished sterling silver. Earrings measure 1 1/8 inch wide. Thickness: 3mm. Weight: 2.89 grams. Made in USA. Wonderful product, exceptional quality, fantastic company!